Here's a feel-good story out of Carencro. Two teens got a nice gift over the weekend, thanks to two police officers from the Carencro Police Department. According to KLFY TV-10, officers Nathanial Thibodeaux and Sgt. Josh Alvarez were patrolling a mobile home community when they spotted two youngsters playing basketball with an old soccer ball. The officers stopped their patrol unit to have a chat with the two young and were very impressed at how respectful they both were. So the two officers decided to do something nice for these young men. They left, bought a brand new basketball with their own money, and took it back to them. "This is a perfect example of community policing," Carencro Police Chief David Anderson said. "Our officers want to be a part of our community and have interaction with our residents. We are certainly proud of Officer Thibodeaux and Sgt. Alvarez for going the extra mile to help these young men smile." 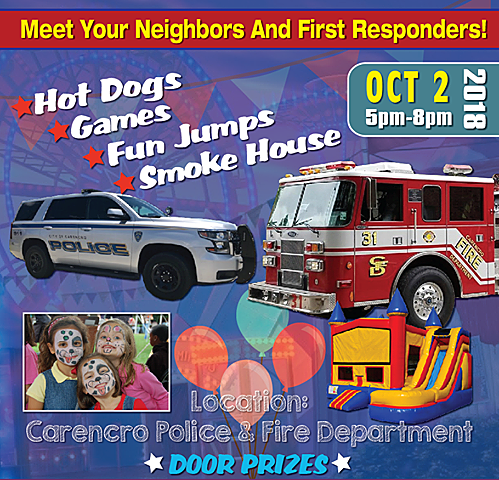 If you live in the Carencro area and would like to attend a fun, family-friendly event to say thank you to Carencro's finest police officers and members of the fire department, then check out the flyer below.